Here are two good science websites to use with your students in class. Both of these websites have been featured in Common Sense Education’s ‘Best EdTech of 2017’ where we have initially discovered them. 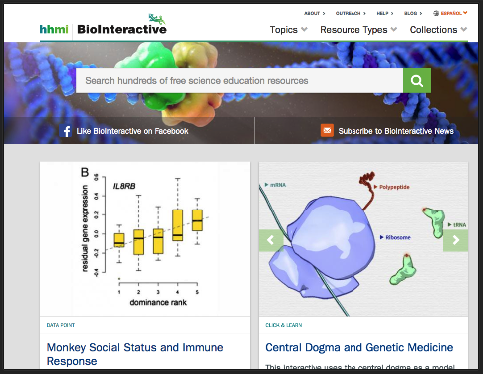 The first one, BioInteractive, provides a wide variety of educational resources to engage students in science learning. These include video resources, interactives, virtual labs, animations, multimedia materials...etc. It also offers teacher-written guides and classroom activities science teachers can easily adapt in their own classrooms. 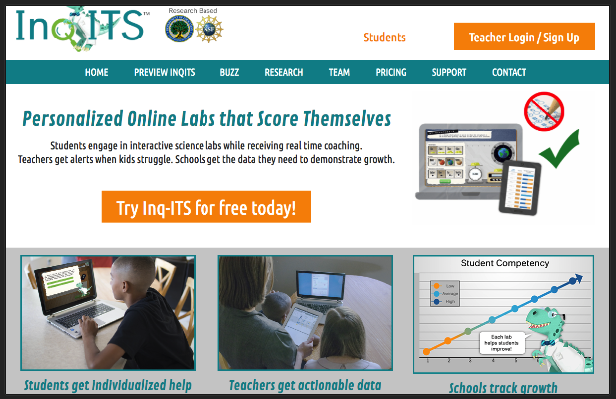 The second website, Inq-ITS is basically an interactive platform where students engage in inquiry-based learning activities with the help of the virtual coach Rex. It provides students with personalized help and real time feedback on their learning progress and offers teachers detailed reports on students performance. ‘Inq-ITS is a science learning platform with simulations for Physical, Life, and Earth Science - all aligned with NGSS standards. Students show what they know and educators get real-time, actionable data to inform whole class instruction or one-on-one support. Rex, the virtual coach, gives students personalized assistance to help students conduct inquiry.’ Watch this video to learn more about Inq-ITS.